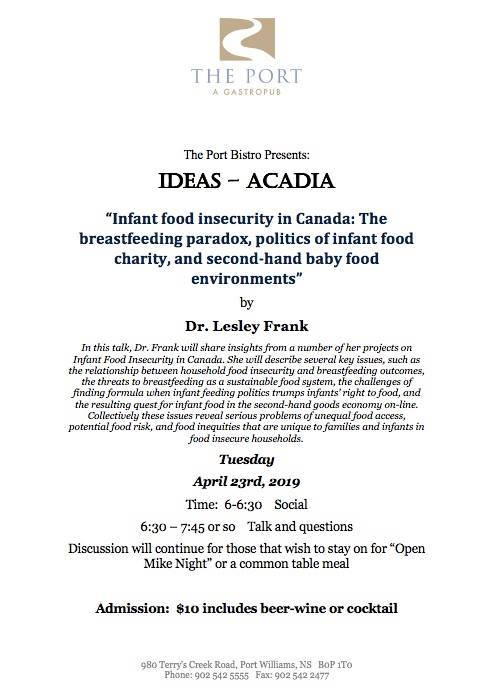 In this talk Dr. Frank will share insights from a number of her projects on Infant Food Insecurity in Canada. 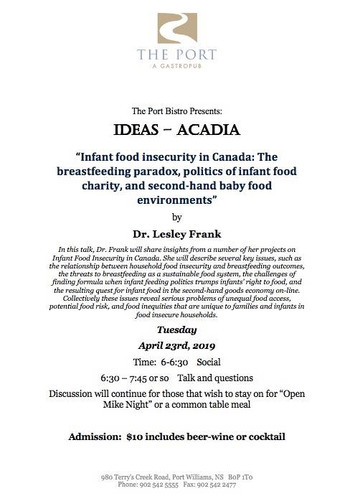 She will describe several key issues, such as the relationship between household food insecurity and breast feeding outcomes, the threats to breastfeeding as a sustainable food system, the challenges of finding formula when infant feeding politics trumps infants rights to food, and the resulting quest for infant food in the second-hand goods economy on-line. Collectively these issues reveal serious problems of unequal food access, potential food risk, and food inequities that are unique to families and infants in food insecure households. Discussion will continue for those that wish to stay for Open Mic Night. Admission is $10 which includes a beer or a cocktail.